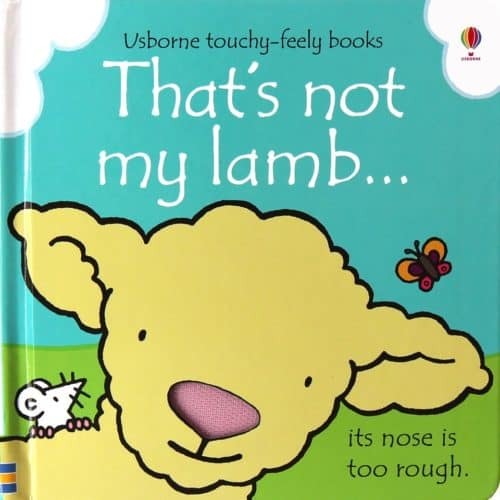 This hugely popular series of Usborne board books is aimed at very young children. The bright pictures, with their patches of different textures, are designed to develop sensory and language awareness. Babies and toddlers will love turning the pages and touching the feely patches. 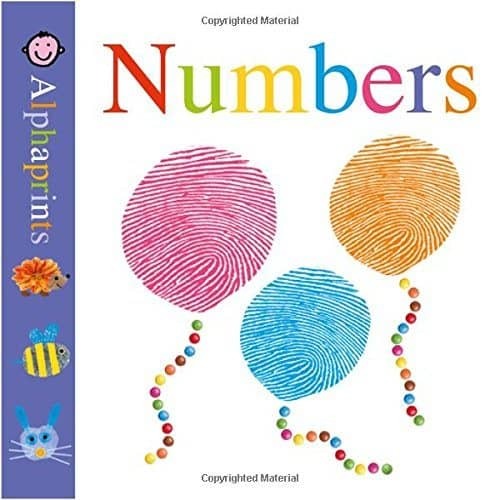 This unique number book from Priddy Books will delight children with textured pages, words to learn, and wonderful fingerprint pictures. Teach your baby numbers 1-5 with this sturdy board book, that’s just the right size for baby to hold. 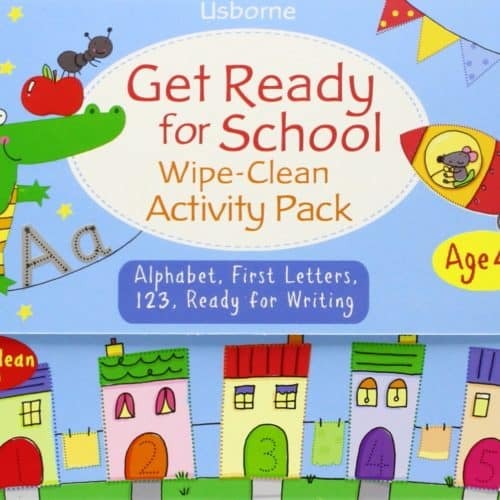 This fab Get Ready for School pack is ideal for helping your preschoolers prepare for school, as well as being a brilliant aid for young children already in their first year, who might like to do some additional writing and number practice at home. And it comes with its own wipeable pen; because it’s wipeable you can use the books again and again. Young children will love this interactive Push Pull Slide book from Campbell’s popular First Stories series. 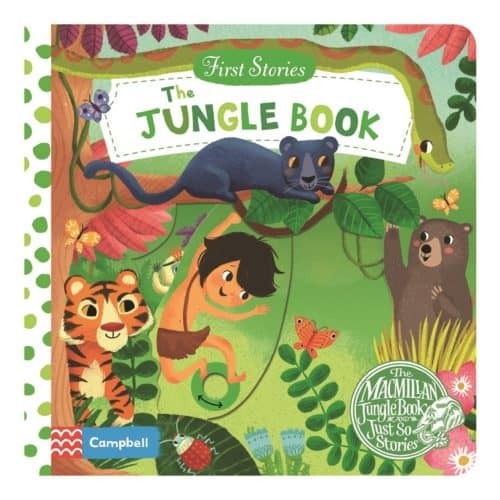 Meet Mowgli and his friends in the jungle, and pull the tabs to see the characters come to life. This colourful board book helps develop your little one’s pincer grip and fine motor skills too! 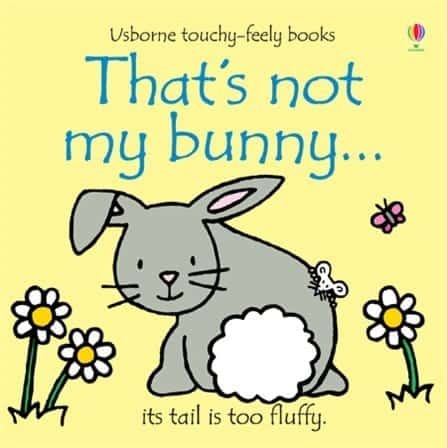 The Usborne That’s Not My… series is the cream of the crop when it comes to touch and feel books for babies and toddlers. Aimed at very young children, the bright pictures, with their patches of different textures, are designed to develop sensory and language awareness. Babies and toddlers will love turning the pages and touching the feely patches. In That’s Not My Lamb, babies and toddlers explore bumpy hooves, fluffy spots, a woolly tail, and fuzzy back, before finding their own lamb with its very soft ears.